The end of the semester often brings warm weather, finals, late nights in the library, and sometimes, a student-run sound installation musical showcase. Graduate students Greg Sullo and Ryan Paluczac, also known by their collective band name ‘RPGS,’ organized a show featuring music from themselves, as well as bands from across the country, to end the spring semester on a high note. Norwegian Arms performing at Cook Farm. The group worked together to organize a variety of performances and create a unique experience which mixes performance art and sound. Other bands making an appearance at the event include east-coast originated Norwegian Arms and Laser Background. 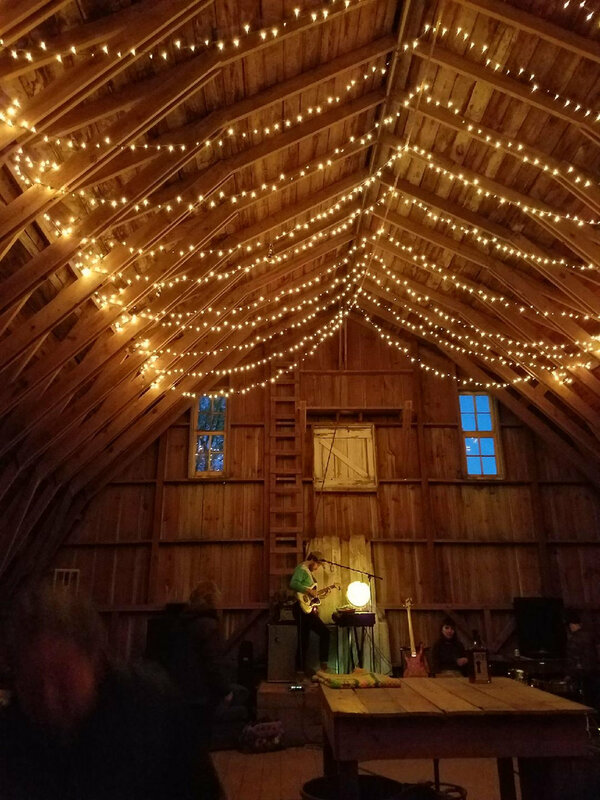 Aside from building an art show/concert showcase combo, RPGS hope that their sound installation, and other similar events, will connect locals who share similar interests and provide alternative entertainment for the Bloomington-Normal art community. Laser Background warming up on stage. The members of RPGS bring to Saturday’s performance extensive backgrounds in music. Before meeting at ISU and beginning their collaboration, Paluczac and Sullo toured individually at many unique venues. A barn loft at Cook Farm is a noteworthy addition. Images courtesy of Felicia Cannon.